Check out My New Look & New Low Price! Anastasia here. As the star of an amateur sleuth mystery series, I want as many people as possible to read about me in the books written by author Lois Winston. Can you blame me? However, Lois and I both know that most readers only have a limited amount of dollars they can spend on their reading habit, and most choose to divvy up those reading dollars among a variety of authors and protagonists. Hey, I understand. Thanks to dead louse of a spouse leaving me with debt equal to the gross national product of Uzbekistan, I know what it’s like to count pennies and live on an austere budget. That’s why we find it so frustrating when publishers charge an exorbitant price for ebooks. After all, ebooks don’t have anywhere near the production costs of physical books. There are no paper and ink costs, no printing costs, no warehousing costs, and no shipping costs involved in the production of an electronic book. The manuscript has already been edited, and the cover has already been created for the print version of the book. The only added expense is in the file conversion for the ebook. According to Lois, who is admittedly no computer genius, this is a relatively easy process that doesn’t involve much time. If she can do it, anyone can. Yet some publishers are now charging more for ebooks than for the paperback edition of the book. How does that make any sense? Over the last few years Lois has slowly gotten her rights returned to her and thanks to modern technology, has republish her books herself—at a much more reasonable price for both the print and ebook editions. 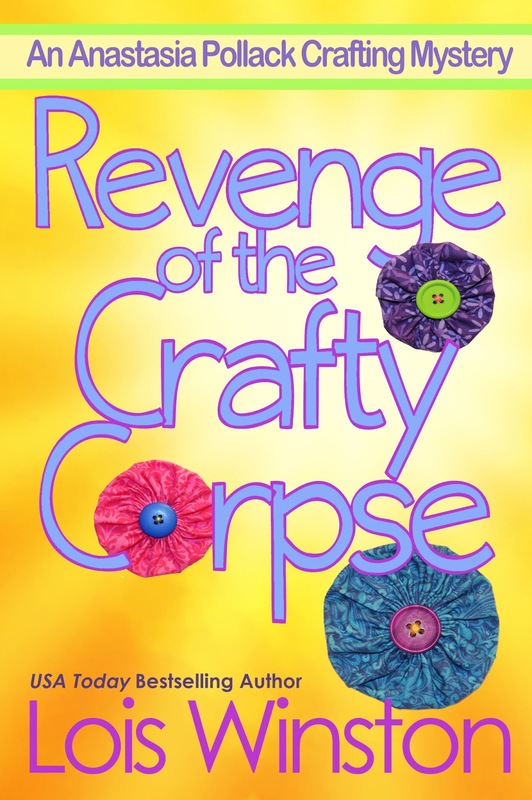 I’m happy to announce that Revenge of the Crafty Corpse, the third book in the Anastasia Pollack Crafting Mystery series, is now finally available at a significant discount from her previous publisher’s edition. Whereas the publisher was charging nearly $10 for the ebook(yikes! ), Lois’ version is a very fair $3.99. The only difference? A new cover and lower price. In addition, there's also a new edition of the paperback, again at a lower price than what the publisher had charged. Anastasia Pollack’s dead louse of a spouse has left her with more bills than you can shake a crochet hook at. Teaching craft classes at her mother-in-law’s assisted living center seems like an easy way to supplement her meager income. But when Lyndella Wegner—a 98-year-old know-it-all with a penchant for ruffles and lace—turns up dead, Anastasia’s cantankerous mother-in-law becomes the prime suspect in her murder. Upon discovering that Lyndella’s scandalous craft projects—and her scandalous behavior—made her plenty of enemies, Anastasia sets out to find the real killer before her mother-in-law ends up behind bars. Victoria Adams has been penning stories since she was a little girl. 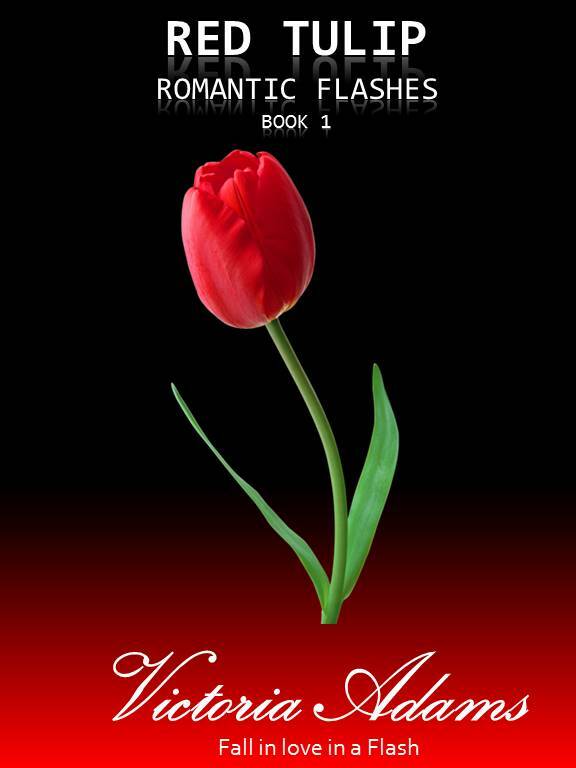 Now she’s the published author of contemporary romances and contemporary new adult romances. She’s also the only author I’ve ever know who studies Raqs Sharqi, Egyptian belly dance, (unless some of our other guest authors have been holding out on me!) Learn more about Victoria and her books at her website. For someone who might not be as addicted to theobroma cacao—food of the Gods—as I am (although I am shocked that there might be such a person!) here are a few fun facts about my favorite food. 1. Chocolate is in its own food group. Okay…maybe that’s my fact and not based in actual fact. But chocolate is good for you. It’s repudiated to be an antioxidant and does have trace amounts of the mineral copper which is good for our bodies. But this doesn’t mean gobbling down corner store chocolate bars. A specialty store will offer designer chocolates of various percentages. Start low and build up your taste buds to the 80% range. It is an acquired taste. 3. Cacao trees can only grow within a tight region 20 degrees north and south of the equator. 4. The top cacao production countries are Ivory Coast, Indonesia, Ghana, Nigeria, Cameroon, Brazil, Ecuador and Mexico. 5. White chocolate is NOT chocolate. To be chocolate, it should have cocoa solids as well as cocoa butter. However, white chocolate has only cocoa butter, and no cocoa solids. Where is this leading to? In my latest story, my hero and heroine have dinner at his mansion and he treats her to a fabulous dessert—Madagascar vanilla ice cream drizzled with a hot fudge sauce made with fifteen different kinds of cacao, and the whole thing is presented in a solid gold goblet topped off with edible gold! Cacao is not a spelling mistake. Cacao is what the base chocolate comes from. It is from the Olmec language (pre Mayan.) There is some train of thought in the chocolate world that cocoa is actually just a misspelling of the word cacao and since it is easier to pronounce that version stuck. But for a chocolate foodie the proper word is cacao. Melt the chocolate. Cool. Whip the cream. Add the sugar. Whip until incorporated. Fold in the chocolate. Divided inito parafait glasses. Return to fridge. Whip the cream until thick. Add sugar. Whip until incorporated. Fold in grated chocolate. Fill the parfait glasses then refrigerate until served. 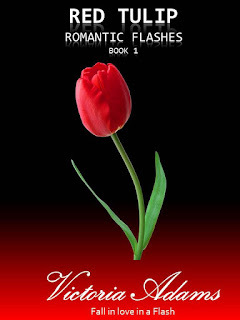 Shamus McRae is a wealthy bachelor with a mysterious family past. Lea Wait is the author of the Mainely Needlepoint series (Twisted Threads, Threads of Evidence and, coming in December, Thread and Gone.) 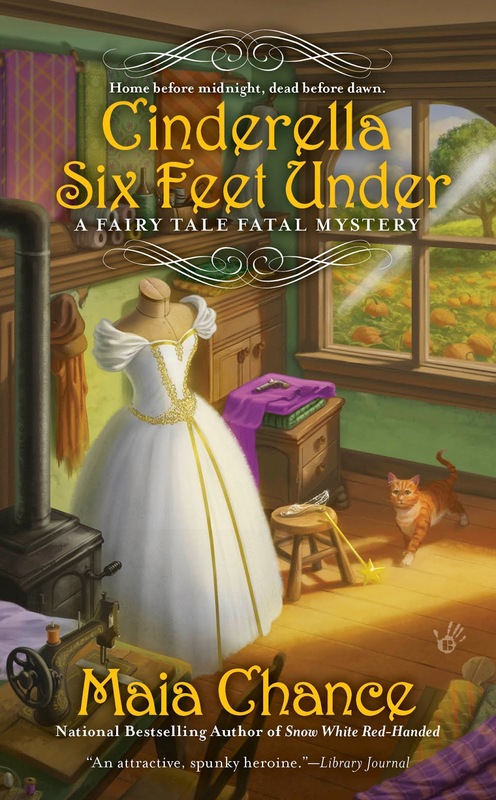 She also writes the Shadows Antique Print mystery series and historical novels for ages 8 and up. Living and Writing on the Coast of Maine is her series of essays on the writer’s life. Learn more about Lea and her books at her website. Being able to sew a fine seam and embroider were for centuries considered basic skills for women. In the fifteenth through eighteenth centuries needlepoint, the most decorative of these arts, was done primarily by wealthy women and the men hired by them to create tapestries, bed hangings, and elaborately stitched clothing. In seventeenth through nineteenth century North America, tapestries were not common, but before central heating, bed hangings were common in wealthier households. And as in Europe, girls were expected to demonstrate their dexterity with needles at an early age, and often did this by stitching a sampler using various embroidery stitches, often including an alphabet, a scene, and, almost always, a devout verse. Possibly the first sampler stitched in the New World was done by Loara Standish (pictured above,) daughter of Miles Standish, in 1640. It is now displayed in Pilgrim Hall in Plymouth, Massachusetts. By the nineteenth century, embroidery skills were taught in girls’ schools on the east coast, and teachers designed elaborate samplers for their students to stitch, frame, and give to their parents to thank them for the gift of an education. I love the (often depressing) verses on samplers, so I’ve included a verse, or a quotation about needlepoint, at the beginning of every chapter in this series. But I can never be too young to Die. I will live every hour as if I was to die the next. What better sentiment for a mystery series? Today cozy historical mystery author Maia Chance makes a return visit and sits down for an interview. Learn more about Maia and her books at her website. I started writing stories when I was five, and never stopped. In the back of my mind I always knew I’d be a novelist someday, but I actually came to it in my thirties, after a career as a professional musician and then a PhD program in English lit. I think I was working up the nerve and building up a stash of ideas. Well, I published a few really iffy romance novels in my twenties, while still a working musician, but it wasn’t until years later that I had the realization that if I was reading mysteries for fun then, um, yeah, I should write mysteries. So then I wrote a mystery, and no agent would touch it because it was too weird (picture Frankenstein meets the Pink Panther movies). However, my current agent liked that book enough to ask me to send along my next project, which turned out to be Snow White Red-Handed, my first published mystery. From the time I started writing my first mystery to the day Snow White Red-Handed came out, it was almost three years. Right now I’m traditionally published. However, that Frankenstein meets the Pink Panther movies mystery? It’s actually a really fun book, so once I have the bandwidth I’m considering self-publishing it. It wants to be read. Oh, boy. I have two little kids, one in half-day preschool and one in kindergarten, so I work in the craziest places to get some peace and quiet. Coffee shops and libraries are OK, although they’re usually too noisy. My all-time favorite place to work is at the kitchen table, but that’s not possible most days. These days I get the most peace and quiet working in my parked car. I started doing that when my first child was a newborn and I had one hour to work per day and didn’t want to use up any of that precious time driving somewhere or, you know, changing out of my pajamas. Silence. And it’s SO hard to find. Sealed up in the car works great. Otherwise, I listen to pink noise on earphones OVER foam earplugs. Nothing in my crazy plots is drawn from life, but there are bits and pieces of all the people I’ve met in my characters, and definitely the more emotionally loaded relationship moments in my books are drawn from my own experiences. Naming characters is so fun. Since I write historical books, I often find character names on old census lists. I also have copied down names from cemetery headstones, and sometimes I leaf through my biographical dictionary looking for names. Recently I named a character from the inscription on a statue in the Luxembourg Gardens in Paris. I was trying to think of a great French lady’s name that day and—there it was! Both. Sometimes a real place works for the story and sometimes it doesn’t. Honestly, my books are totally populated by quirky characters, but two quirks that spring to mind are my Discreet Retrieval Agency heroine Lola Woodby’s habit of stashing important clues down her brassiere, and the way that my Fairy Tale Fatal romantic lead Gabriel Penrose’s fingertips start feeling all buzzy when he sees a fairy tale relic. I had to ask my husband about this, and he said it’s how I laugh to myself while I’m writing. Anything by P. G. Wodehouse, because his work is the gold standard for comedic writing that uses language itself as a vehicle for the laughs. I wish I’d gotten serious about writing earlier, without being so scared to take the plunge. People with road rage! I just moved from Seattle to a much smaller town in Washington, and I’ve been breathing a sustained sigh of relief to be out of the aggressive driving. Sunscreen, hat, Agatha Christie short story collection. Front desk clerk at a hotel. It’s a job where you’re the lightning rod for complaints for problems throughout the entire hotel. Problems that you have no ability to actually fix. True story: I habitually looked at cuteoverload.com on the front desk computer to lower my blood pressure. I could never pick one. One that permanently influenced my worldview, though, is Dialectic of Enlightenment by Max Horkeheimer and Theodor Adorno. Country boy, for sure. My husband is from a farming region in southern Idaho, and he seems like he is. I’m just going to keep writing more mysteries and raising my kids. I’ve got four books coming out in a six-month period! 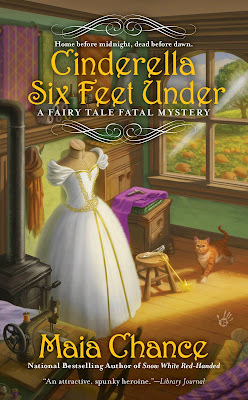 Cinderella Six Feet Under (Fairy Tale Fatal #2) came out September 1st and Come Hell or Highball (Discreet Retrieval Agency #1) came out September 15th. Then on, I have two short stories in a “mysterious speculative fiction” holiday anthology called Joy to the Worlds that comes out on December 1st, and Fairy Tale Fatal #3, Beauty, Beast, and Belladonna, will be released on February 2nd. L.C. Hayden is a multi-award-winning mystery author whose latest book centers around a very unique aspect of her home town. Today she joins us to talk about El Paso, its underground tunnels, and her latest thriller. Learn more about L.C. and her books at her website. Does that ring a bell?—a musical bell, that is. It should. That’s the opening line to Marty Robbins famous song. But outside of that, what do you know about El Paso? Most think of El Paso as a dusty city along the border, which is plagued with immigration problems and drugs. Yet I chose to set my latest thriller, Secrets of the Tunnels, in El Paso. Why would I ever do that? True, it’s my hometown, and if that’s not reason enough, then it’s because the city really shines for me. For one, it’s very historical. The Spaniards arrived in the area in 1581. Seventeen years later, Juan de Oñate claimed the land for Spain, then gave thanks and held the first Thanksgiving feast in what is now the United States. A 42-foot-tall equestrian statue depicts Oñate and his horse. This breath-taking sculpture is one of the largest equestrian statues in the world and stands near the El Paso International Airport. In addition, Scenic Socorro Road connects three of the oldest Spanish-era missions in the nation. The missions, Ysleta, Socorro, and San Elizario are all listed in the National Register of Historic Places. In 1846 the humble adobe-buildings and dirt streets marked the beginning of Ft. Bliss. Back then, mules were the norm. Now Ft. Bliss is the nation’s second-largest military reservation where the latest military technology is developed. But El Paso isn’t just about history. This sun-kissed city displays the most breathtaking sunsets and offers some of the country’s most dramatic landscapes. Within driving distance you’ll find White Sands National Monument, the Gila Cliff Dwellings National Monument, Three Rivers National Petroglyph Recreation Area, Carlsbad Caverns National Park, and Roswell, with its International UFO Museum and Research Center. Beautiful Ruidoso is a favorite mountain getaway for El Paso visitors and locals. Interested in architecture? Downtown El Paso offers the eye some candy with its elegant early 1900’s dwellings. Close by is the University of Texas at El Paso with its magnificent Bhutan style architecture. Like to eat? You can enjoy the world-famous Southwestern cuisine El Paso has to offer. You can even do so while sipping a margarita under a spectacular sunset. Remember Rosa’s Cantina from the Robbins’ song? It’s still here. In addition, museums, concerts, a newly built mega stadium, home of the famous El Paso Chihuahuas baseball team, movies under the stars, and much more attract people to El Paso. El Paso is the 19th largest city in the United States and has been ranked by the CQ Press (based on FBI crime statistics) as the safest large city in our country. In addition, the city has been ranked among the top three safest cities since 1997. But with all of these points of interest, El Paso offers one very unique item that was essential for my book: the tunnels. The tunnels, a labyrinth of underground passages, where built by the Chinese, who migrated from California and used the tunnels to enter the United States through Mexico. Later, the tunnels served as opium dens, which expanded to become houses of prostitution. It is this intricate web of passages that play an important part in Secrets of the Tunnels. A stolen Chinese treasure, corruption, a fight for power, murder, and betrayal—all play a part in this novel set in El Paso. Connie de la Fuente’s ex stripped her of everything she held dear—her family, her friends, her pride, and even her son. The only way to fight back is to stand up to her ex and his evil father. While the residents of El Paso hail them as heroes, Connie knows that the secret of their power and source of wealth has been founded on corruption. Connie sets a trap to expose the de la Fuente men—a trap that will lead her in a razor-edge hunt for a hidden treasure concealed deep in El Paso’s tunnels. Secrets of the Tunnels is currently in the Kindle Scout program. You can read the first five chapters here and vote to nominate it for publication. Have you started your holiday shopping yet? Okay, maybe I’m pushing the season a bit. After all, we haven’t even gotten through Halloween. But there’s a method to my madness, and it’s called Happy Homicides. HappyHomicides is a collection of thirteen cozy mystery holiday stories—nearly 800 pages of reading material—by a dozen different authors, all bundled into one ebook. 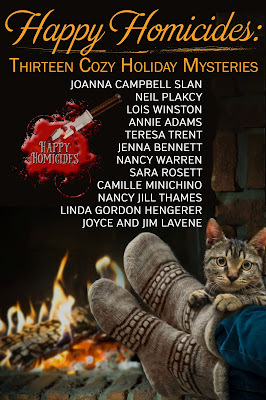 When the holidays get you too frazzled, you can relax with a bit of murder and assorted mayhem from some of your favorite bestselling and award-winning mystery authors—Lois Winston, Joanna Campbell Slan, Neil Plakcy, Annie Adams, Jenna Bennett, Nancy Warren, Sara Rosett, Camille Minichino (also known as Ada Madison, Margaret Grace, and Jean Flowers,) Nancy Jill Thames, Linda Gordon Hengerer, Joyce and Jim Lavene, and Teresa Trent. 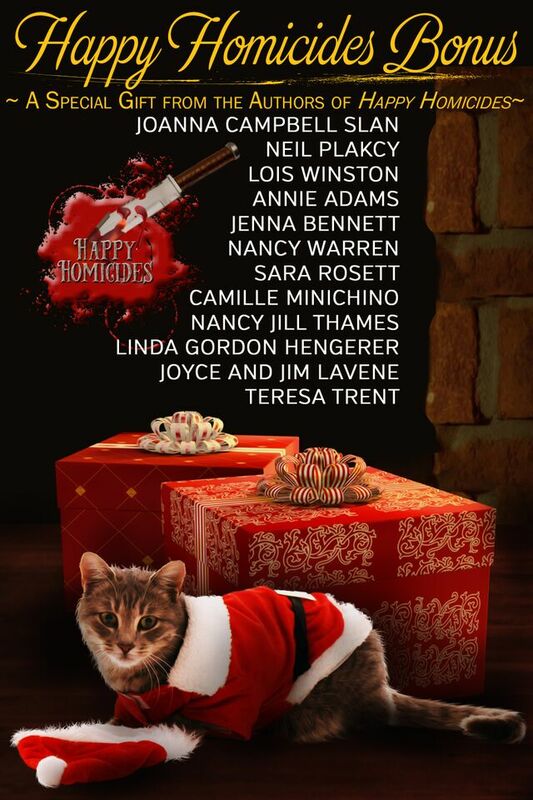 And because we know budgets are tight around the holidays, Happy Homicides is being offered for the incredibly low price of only 99 cents! Not convinced yet? How about a Bonus gift? We also have a free holiday gift for you. The authors put together a bonus file crammed with recipes, craft tips, projects, and more. You’ll find the link for the free bonus material inside Happy Homicides. Elementary, My Dear Gertie (the sequel to the award-winning Talk Gertie to Me) by Lois Winston -- Much to the dismay of her conservative parents, Nori Stedworth and her boyfriend Mackenzie Randolph are living together. Mom and Dad cope as best they can when Nori and Mac arrive in Ten Commandments, Iowa for the holidays. Mac is all for exchanging “I do’s,” but before he can pop the question, an explosion hurls him and Nori into the midst of a murder investigation. Can they uncover which of the town’s not-so-pious residents is the killer in time to catch their flight back to New York City? 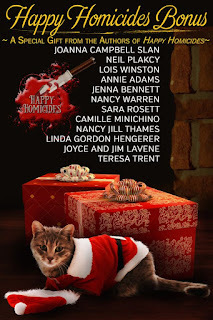 Teddy Saves Christmas by Nancy Jill Thames -- When Jillian Bradley finds herself alone for the holidays, her dog Teddy latches onto a homeless woman with a dangerous secret. Jillian is forced to get involved. Can she find a way to save her new friend in time for a Merry Christmas? Happy Homicides is available for pre-order now and will be on sale October 15. 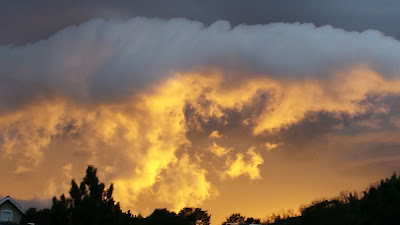 Kate Hewitt writes emotional stories in a variety of genres, from romance to contemporary women's fiction to historical sagas, and blog about village life as an American ex-pat living in England. Learn more about Kate and her books at her website. Although I’m American, I’ve spent ten years in England as an ex-pat and, more importantly, I learned to cook in England. My children were born in England and grew up on such British delights as sausage rolls, bakewell tarts, and sticky toffee pudding. They never did develop a taste for Marmite! Take 1 package of 8-12 thick sausages or bratwurst and cut each sausage into thirds. Put in a 9” by 13” baking dish and cook in a 350 degree oven for about 15 minutes. Generally I combine the eggs and milk and then add to the flour. Whisk briskly for about 2 minutes to make the finished product light and airy. Raise oven temperature to 400. 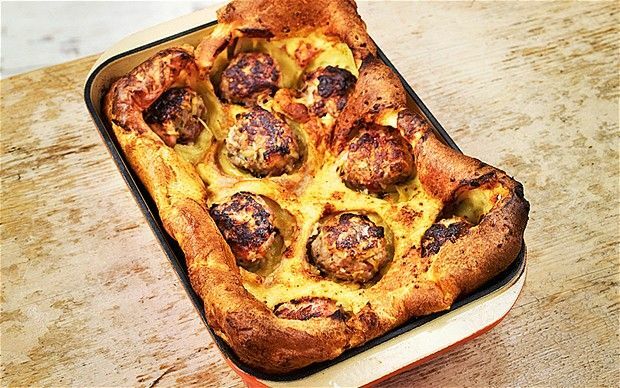 Drain fat from sausages so there is only 1-2 tablespoons left. Add batter to pan and cook 20-25 minutes or until the pudding is puffy and golden. Serve with mashed potatoes, peas, and onion gravy. I hope you enjoy this very British recipe!